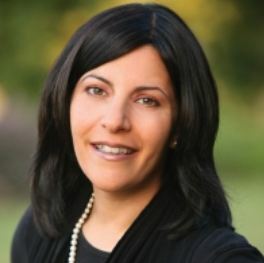 Canadian Gila Green moved to Israel in 1994 where she writes, edits, teaches and publishes fiction. Find her classes at WOW. She has just published her first novel. Betrayal is a theme that threads through my entire debut novel, King of the Class. 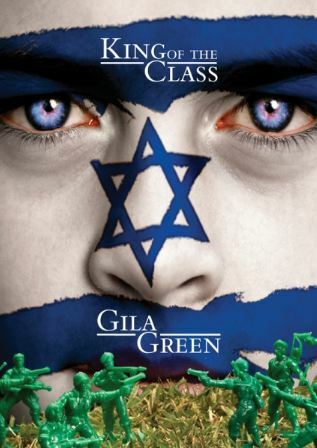 On a macro level, the setting of the novel is the post-civil war Israel of the future; an entire nation has engaged in betrayal against itself. On a micro level, heroine Eve Vee goes to sleep one night engaged to her fiancé, Manny Meretzky, and wakes up to find he has not only disappeared physically, but spiritually. The Manny she wanted to accompany through life in effect no longer exists. He has erased his previous value system in exchange for another and his duplicity becomes a river of deceit Eve cannot seem to cross. Eve neither acknowledges Manny’s nobility in seeking a more meaningful life nor admires his desire to distance himself from what he perceives to be a shallow, materialistic value system. When Eve looks at Manny it is only his betrayal in its rawest form that she can see. It is not long before Eve confronts the questions: Is self-loyalty or allegiance to someone you love a higher value? As the story progresses, the question expands: Are we loyal to our children over our spouses? And ultimately, where do communities lie in this hierarchy? Are we steadfast with regards to faith and community over anything else? I was motivated to explore this theme for many reasons, but a central thorn in my side was the ongoing divisions and increasing number of sub-divisions I see around me daily. In as much as we have become a “global village”, many of us also seem to thrive on an increasingly vicious and ultimately self-defeating discourse that demonizes anyone else who doesn’t agree with our specific value system. Eve needed the help of something far outside of herself to move forward, but that’s the freedom of fiction. Eve freezes for a few minutes for she hears another voice on mental replay: It’s not that I will die; it’s that I won’t live. What does that mean? Would Manny send someone to say that to her? Pay him even. Eve rests her head on the back of the chair. In two more stops she has to descend, face an empty apartment until Manny comes home, which he does later and later these days. She is supposed to concentrate on her studies and, moreover, to excel if she wants to keep her grant funding. She moved to a new country and within less than a year, she has no choice but to face the strange culture here and master the language alone. Self-pity pushes her shoulders low and begins to peck at her ears. Soon her eyes fill with tears. She lets them fall. Still, there’s a tiny corner in her heart that senses light because she is pain-free for the first time in weeks, utterly void of this burning worm of a sensation in her intestines. And because of something she can only describe as this: she is two women, Eve and her shadow, the two sets of arms and legs locked in a struggle. One is scratched and bruised: A broken-hearted lightweight with resentment for one fist and revenge for another, each fist longing to smash Manny in the teeth for allowing her to leave her job, her home, flying across the world to this rough, foreign place that, in spite of its beauty, makes her feel a perpetual outsider. The other is a woman who feels as though she has stood in line for days that melted into weeks, all the time among other women, without any protection from the elements. She envisions herself the maiden Esther before she is crowned queen, who has finally been greeted and then kissed by an incomparable blue-eyed boy of exquisite beauty. Great blog. I can’t wait to read the book. It’s nice to know what inspired you to write the book. I’m interested in how the book might include the societal norm (because it’s not quite gone) that women follow their men where they want to go and give up who they are in order to do so. Congratulations on your upcoming publication.